This Agreement describes the terms and conditions (“Terms”) pursuant to which you may access and use the services provided on pyramiscompany.com (“the Site”). The definition of the Site includes pyramiscompany.com and all subdomains. Please read this Agreement carefully as your use of the Site constitutes your binding acceptance of these Terms, including any modifications we may make. Please review the Privacy Notice which also governs your use and interaction with the Site. 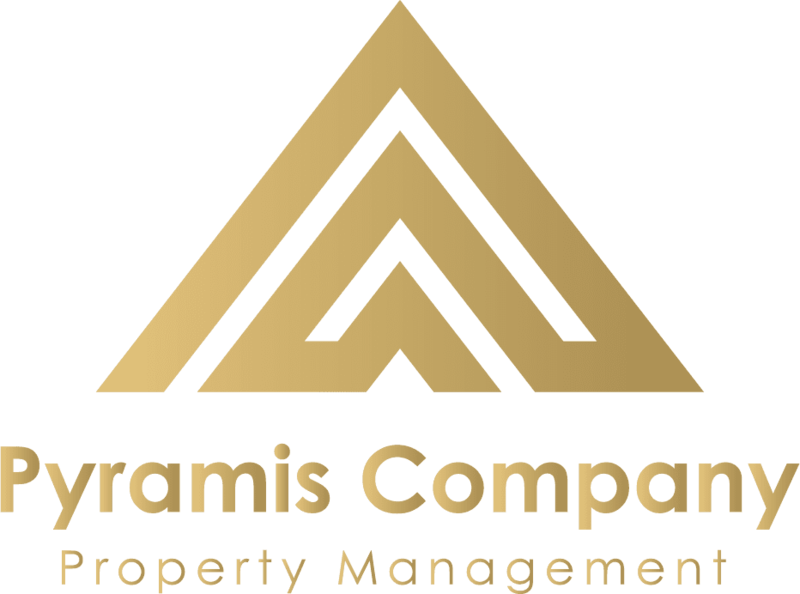 Pyramis Company reserves the right at its sole discretion to change, modify, add or remove portions of these Terms at any time without notice or liability, and such modification shall become effective upon posting on the Site. Your use of the Site following any such modification shall be conclusively deemed to be your acceptance of such modification. The information provided on the Site and are for educational and informational purposes only. The information should not be construed as a recommendation by Pyramis Company for any course of action regarding financial, legal or accounting matters. It is not meant as a substitute for professional advice from a qualified legal, accounting or financial professional. Pyramis Company does not represent, warrant or endorse the accuracy or reliability of any information displayed, uploaded, downloaded or distributed through the Site by any user, or any other person or entity. Pyramis Company disclaims liability for any damages or losses, direct or indirect, that may result from use of or reliance on information contained on the Site. Pyramis Company may change, suspend or discontinue any aspect of the services provided at the Site at any time without notice or liability, including the availability of any feature, blog, database or content. 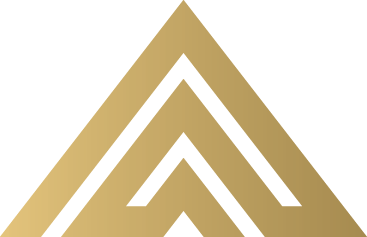 The Site contains a combination of content that Pyramis Company creates, its partners create, and that its users create. All materials published on the Site including but not limited to text, images, video, graphics and multimedia files (“Content”) are protected by all applicable copyright and trademark laws and owned by Pyramis Company or the party credited as the provider of the Content. All rights in the Content are expressly reserved by the applicable copyright and trademark owner. Reprinting Content from the Site shall be subject to written approval of the designated agent listed at the bottom of these Terms. All Content provided by any party other than Pyramis Company must identify the party who provided that Content. By posting material to the Site, you warrant and represent that you either own or otherwise control all of the rights to that material, including without limitation, all the rights necessary for you to provide, post, upload, input, or submit the material, or that your use of the material is a fair use. You agree that you will not knowingly and with intent to defraud provide material and misleading false information. You represent and warrant also that the material you supply does not violate these Terms, and that you will indemnify and hold Pyramis Company, its subsidiaries, affiliates, officers, employees, and agents, harmless for any and all claims resulting from material you supply. By posting material to the Site, you grant Pyramis Company, its subsidiaries, affiliates, partners and third-party licensees a non-exclusive, perpetual, irrevocable, worldwide, sub-licensable, royalty-free license to use, store, display, publish, transmit, transfer, distribute, reproduce, aggregate your material with other Content, create derivative works of and publicly perform that Content for any purpose on and through each of the services provided by the Site. This license shall apply to the distribution and the storage of your Content in any form, medium, or technology now known or later developed. Pyramis Company blogs are syndicated for RSS aggregation. You have permission to subscribe to the blog Content via an RSS reader or e-mail, and you also have permission to post the RSS feed to another real estate-related Website. The Site may contain links to other Internet sites operated by third parties. These links are provided as a convenience to access the information contained therein. Pyramis Company does not endorse or approve, is not a sponsor, partner, promoter or publisher of such sites or their Content, and expressly disclaims any responsibility or liability for the content of any other site. You should direct any concerns regarding any external link to the site administrator or Webmaster of such other site. Your dealings with advertisers and third party vendors found on or through the Site, including your participation in promotions, the purchase of goods, and any terms, conditions, warranties or representations associated with such activities, are solely between you and the third party. Pyramis Company does not make any representations or warranties with respect to any goods or services that may be obtained from such third parties, and you agree that Pyramis Company will have no liability for any loss or damage of any kind incurred as a result of any activities you undertake in connection with the use of or reliance on any content, goods, services, information or other materials available, or through such third parties, on the Site. You acknowledge that such third party sites usually have their own terms and conditions, including privacy policies, over which Pyramis Company has no control and which will govern your rights and obligations with respect to the use of those sites. THIS SITE IS PROVIDED BY PYRAMIS COMPANY ON AN “AS IS” AND “AS AVAILABLE” BASIS AND WITHOUT ANY WARRANTY THAT THE SITE WILL MEET ANY PARTICULAR CRITERIA OF PERFORMANCE OR QUALITY. PYRAMIS COMPANY MAKES NO REPRESENTATIONS OR WARRANTIES OF ANY KIND, EXPRESS OR IMPLIED, AS TO THE USABILITY, CONDITION OR OPERATION OF THIS SITE, OR THAT ACCESS TO OR USE OF THE SITE WILL BE UNINTERRUPTED OR ERROR-FREE, OR AS TO THE INFORMATION, CONTENT OR MATERIALS INCLUDED ON THIS SITE. YOU EXPRESSLY AGREE THAT YOUR USE OF THIS SITE IS AT YOUR SOLE RISK. TO THE FULLEST EXTENT PERMITTED BY APPLICABLE LAW, PYRAMIS COMPANY DISCLAIMS ALL WARRANTIES, EXPRESS AND IMPLIED, INCLUDING, BUT NOT LIMITED TO IMPLIED WARRANTIES OF MERCHANTABILITY, TITLE, FITNESS FOR A PARTICULAR PURPOSE, NON-INFRINGEMENT, COMPARABILITY, SECURITY, AND ACCURACY. YOU AGREE THAT PYRAMIS COMPANY IS NOT LIABLE FOR ANY DAMAGES OF ANY KIND ARISING FROM THE USE OF THIS SITE, INCLUDING, BUT NOT LIMITED TO, DIRECT, INDIRECT, INCIDENTAL, CONSEQUENTIAL AND PUNITIVE DAMAGES. Pyramis Company reserves the right, but not the obligation, to send electronic mail to any and all users of the Site for the purpose of informing them of changes or additions to the Site or any related services or products. Your registration on the Site constitutes your consent to receive such electronic mail unless it is subject to any right you may have to opt-out of receiving said messages and you have opted out as provided for in Pyramis Company’s Privacy Notice. Pyramis Company may at any time, in its sole discretion, terminate, limit or suspend your access to the Site, without notice or liability, for any reason whatsoever, including without limitation your breach of this Agreement. Infringes the trademarks or copyrights of Pyramis Company or any third parties. Pyramis Company disclaims responsibility and liability for the content and opinions expressed by others on the Site including, but not limited to, content or opinions regarding any products or service mentioned on the Site. If you upload Content to the Site, you agree to indemnify and hold Pyramis Company harmless from any and all liability, damages or expenses whatsoever due, directly or indirectly, to any cause of action arising out of the Content posted by you. Pyramis Company reserves the right but not the obligation to refuse, move, or remove any material submitted to the Site for any reason and to restrict, suspend, or terminate your access to all or any part of the Site. You agree not to post any defamatory, libelous, threatening, vulgar, sexually explicit, abusive, profane, rude, obscene, or anonymous Content. You agree not to post any advertising, promotional or other types of solicitation to the Site. This Agreement, its Terms, and use of the Site are governed by and will be interpreted under the laws of the State of Texas, United States of America, without reference to conflicts of laws and without regard to the location of execution or performance of this agreement. You hereby agree that any and all disputes which may arise and any litigation that may arise from such disputes will be litigated before a court located in the State of Texas, County of Bexar, U.S.A., to the exclusion of the courts of any other country, state or county. Pyramis Company may request additional information before removing any infringing material. Pyramis Company may provide the alleged infringing party with your e-mail address so that that person can respond to your allegations. They are proactive in managing my house and always look at the market to capture the best rent possible for me. Well done team!